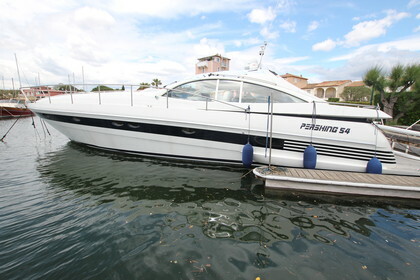 "O'Swan" is a beautiful Pershing 54 with new engines from 2012. The Man engines deliver 2x 1200 HP. If you want to go fast in style than this will be your best option. The yacht is located in Port Grimaud (France) where it has always been in the dry dock during winter. The owner took great care of her. Every winter she gets full maintenance done and the top is sealed with plastic to protect the top. She is well equipped and ready to go. Please contact us for more information.